Food group SPC’s bakery chain Paris Baguette has been expanding quickly outside of Korea, running over 330 stores abroad since its first overseas store in Shanghai, China, opened in September 2004. In the US, SPC set up a local corporation of Paris Baguette in 2002, and opened the first Paris Baguette in Los Angeles in 2005. There are 60 Paris Baguette stores in major cities in the US including California and New York. The company aims to operate as many as 300 stores there by 2020. Paris Baguette has also tapped into the Chinese market with stores in cities like Bejing, Nanjing and Dalian. The 100th Paris Baguette store opened in China in August 2012, solidifying the brand’s base and operations in China. There are currently over 240 stores in the country. In 2012, Paris Baguette opened a store in Ho Chi Minh, Vietnam, and the first in Singapore in September the same year. In 2014, the bakery chain also opened a store in Singapore’s Changi Airport. Three additional stores opened in the airport’s Terminal 4 in 2017. 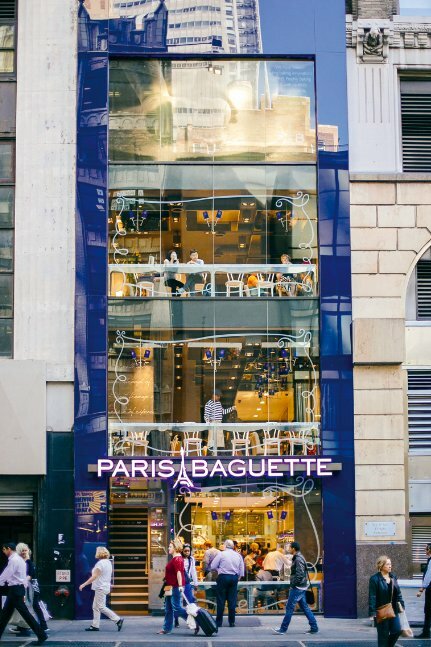 Paris Baguette has also entered Europe, with its first store in Paris, France, in July 2014. It opened the second branch in the city the following year.